Reference "Frank Ball" The Annals of a Humble Race <April 24, 2019>, (URL: https://apperley.ca/getperson.php?personID=I6&tree=T0001). Text from source: Ball, Frank; mother's maiden name Ball. [S38] Birth certificate: Ball, Frank (County of Somerset; 1885/2 Bridgwater 5c-370). [S439] Attestation: Ball, Frank, (Ministry of the Overseas Military Forces of Canada), [Library and Archives Canada]. [S970] Census: United Kingdom; 1891; Somerset, Bridgwater [Ancestry.ca] Image. 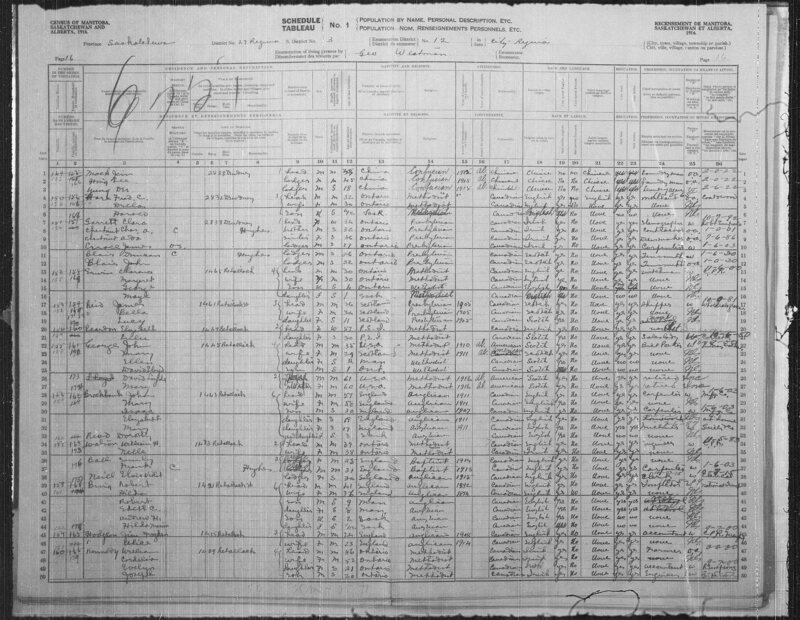 [S1055] Census: United Kingdom; 1901; Somerset, Bridgwater [Ancestry.ca] Image. [S1501] Census: United Kingdom; 1911; Somerset, Bridgwater [Ancestry.ca] Image. [S1442] Census: Canada; 1916; Saskatchewan, Regina, Regina [Library and Archives Canada] Image. [S2537] Census: Canada; 1921; Saskatchewan, Regina, Sherwood [Library and Archives Canada] Image. [S5169] Census: Canada; 1926; Saskatchewan, Regina [Library and Archives Canada] Image. [S45] Death certificate: Ball, Frank (Province of Saskatchewan; 69-07-005356). [S148] Obituary: Ball, Frank (Leader Post; Regina, Saskatchewan). [S1621] Obituary: Ball, Frank (The Leader-Post; Regina, Saskatchewan; 15 August 1969; page 5). [S527] Headstone: Ball, Frank & Emily. [S41] Marriage certificate: Ball, Frank and Emily Gardner (Province of Saskatchewan).